Women and men with sleep apnea exhibit different characteristics and face different challenges. 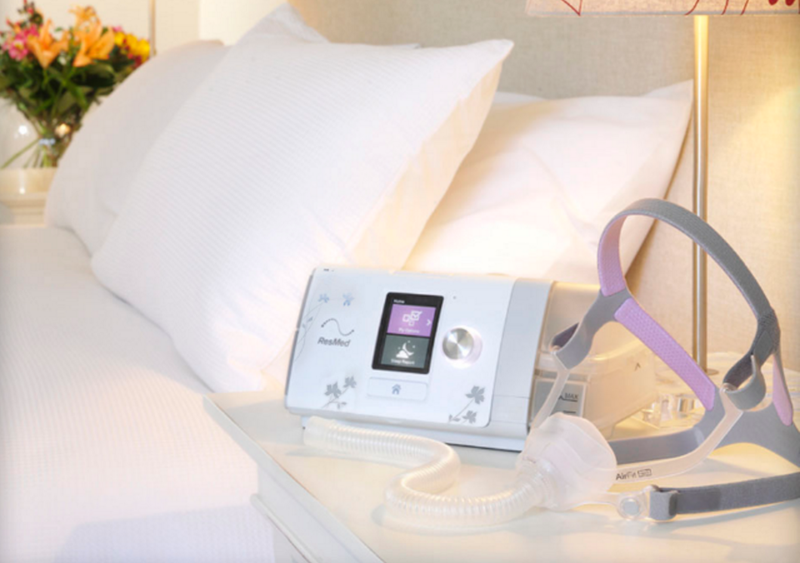 That’s why we created the AirSense™ 10 AutoSet™ for Her – the first sleep apnea therapy device designed to provide female-specific therapy. 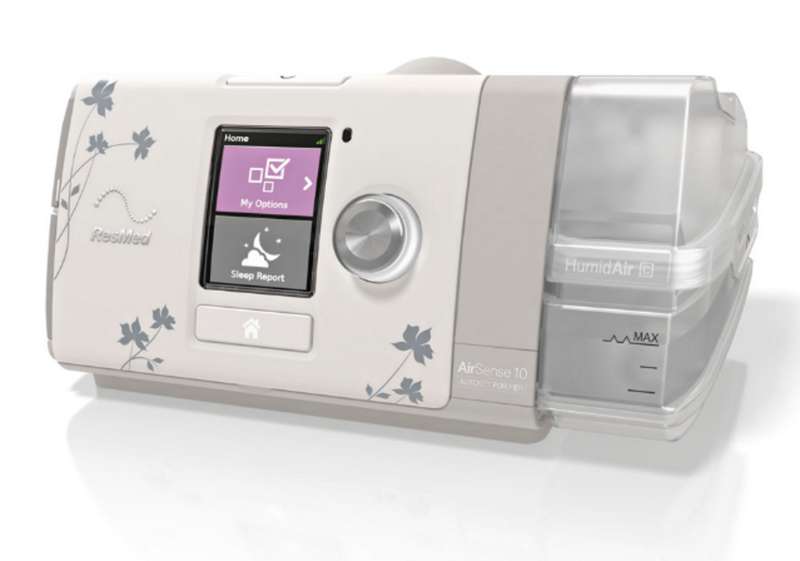 Combined with stylish ResMed for Her masks, the AirSense™ 10 AutoSet™ for Her machine delivers a complete sleep therapy solution tailored for women. This self-adjusting device also has an integrated humidifier and the optional ClimateLineAir™ heated tube designed to optimize your comfort. • Consistent humidification throughout the night with the integrated HumidAir™ humidifier and optional ClimateLineAir™ heated tube with Climate Control technology can provide a more comfortable experience. • The SmartStart™ function begins your therapy as soon as you breathe into your mask. When you remove your mask, it stops after a few seconds. • The built-in ambient light sensor adjusts to the brightness of the room. So if you need to get up during the night, the screen’s back light won’t disrupt your bed partner. The light also turns off automatically, so you can settle back to sleep without disturbance.